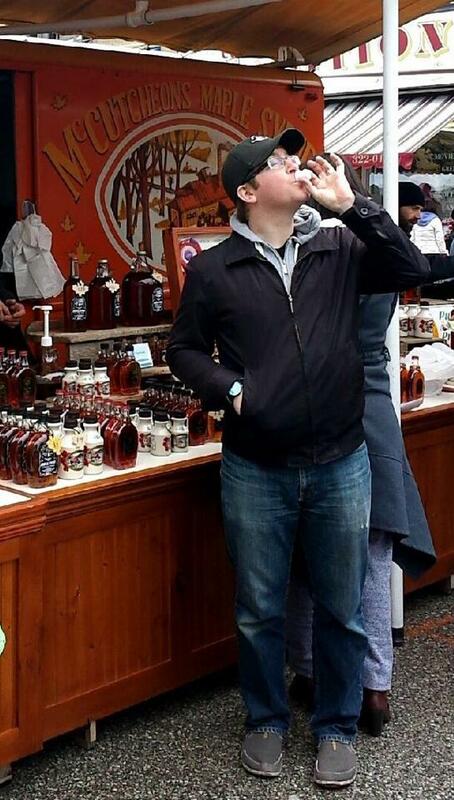 Every spring, members from the small town of Elmvale wake up from hibernation to the smell of pancakes and one of Ontario’s best maple syrup festivals. Maple syrup vendors line the streets, handing out samples from this year’s batch. If you’re new to this world of liquid gold, a Sugar Bush tour is a must! This year you could visit Greenlaw Maples or Lalonde’s Sugar Bush and children under 12 can visit for free. Here you learn about all the hard work that goes into making maple syrup, how much sap it takes to make a one litre bottle of syrup, and are taught why you must always refrigerate it. No small town festival is complete without a main stage featuring local talent, a log sawing competition and naturally, a pancake eating contest. After the initial sugar rush wears off you enjoy the fact that spring is here and summer is just around the corner. This entry was posted in Festivals and tagged Elmvale, maple syrup, Maple Syrup Festival, Ontario, Small Town, Sugar Bush. Bookmark the permalink.